The arrival of fall brings a sense of anticipation to sportsmen and women who enjoy hunting. Chances are, you started thinking about the season some time ago – maybe even made a checklist of everything you’ll need before heading out for the woods or water. New gun case? Check. Goose call? Check. Hearing protection? Not on the list? If you haven’t used hearing protection for hunting in the past, you may already have some degree of hearing loss. 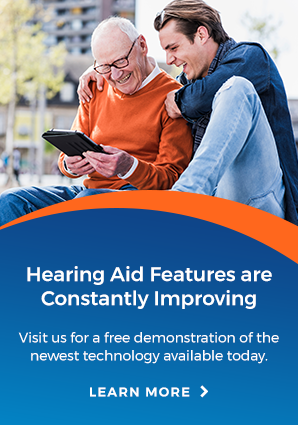 Early treatment for existing hearing loss is critical, and there are steps you can take to avoid further damage. There are many types of hearing loss, but the most common type and the type suffered most frequently by sportsmen and women, is known as a sensorineural hearing loss. Sensorineural hearing loss occurs when inner ear nerves are damaged and do not properly transmit sound signals to the brain. Your inner ear contains tiny hair cells, and prolonged exposure to loud noises like a shotgun or rifle close to the ear can cause these hair cells to wither. Without these hair cells, the ear cannot detect sounds properly. Sensorineural hearing loss can also be caused by an injury, illness, medications or the aging process, but exposure to loud noise is one of the most common causes. As a hunter, you may rely on your hearing many times during a day on the trail or in a blind – to locate game, to connect with your hunting party, or perhaps to listen for road noise to find your way back to your vehicle. Specialty earmold hearing protection is available that allows for normal hearing when worn but compresses the loud sounds of gunfire to avoid hearing damage. If you’re an avid hunter, trapshooter or simply enjoy the firing range, and haven’t been careful about hearing protection in the past, now is the time to start. We offer custom noise protection and specialized earplugs for hunting. Contact us today to discuss your options for protecting your ears while out in the wild!